Powers/Abilities: The Witness seems to be able to move from location to location instantaneously, and to know of events about to happen. He is apparently invisible to those he is watching, and can subtly influence their actions to ensure his stories continue to their fruition. 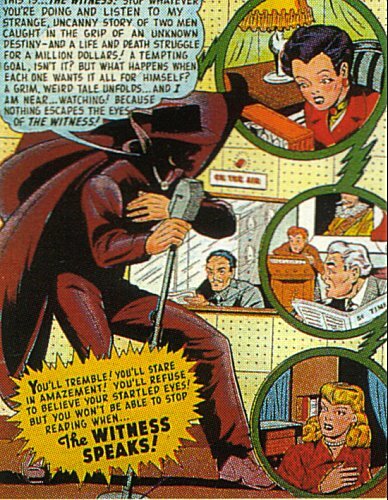 History: (The Witness #1, Ideal #4, Captain America Comics #71, Amazing Mysteries #32, Marvel Mystery Comics #92) The Witness was a mysterious individual who observed crime and other strange behaviour, passing Watcher-like comments on what he saw. Unlike some horror hosts who narrated their tales in the past tense, the Witness was present throughout his tales, watching as events unfolded, though his presence remained unnoticed by the participants. 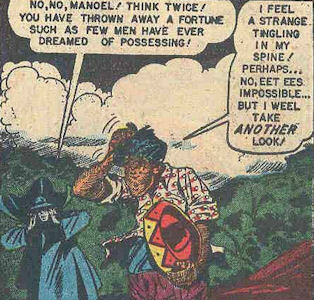 Comments: Unlike the Witness seen in Mystic Comics, who was very much a participant in the adventures shown, the Witness seen from Witness #1 on was purely a narrator of weird tales. 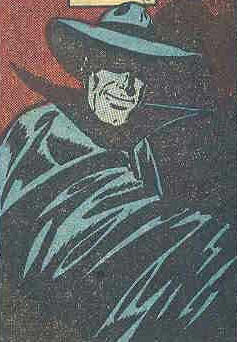 Initially I thought they were the same character, but the Marvel miniseries The Twelve confirms them to be two distinct individuals, since the wartime Witness was in suspended animation when the radio host was active.